The 3137 Challenger II Series Professional Bb Trumpets with reverse leadpipe are the best of German quality and craftsmanship from Markneukirchen, Germany. The B & S Challenger II Series features .459-inch bore designed for excellent response and intonation. The Challenger II Series also features 4.9-inch #37 taper bell for superior projection, plus the reverse leadpipe offers limited resistance for a very free-blowing instrument. 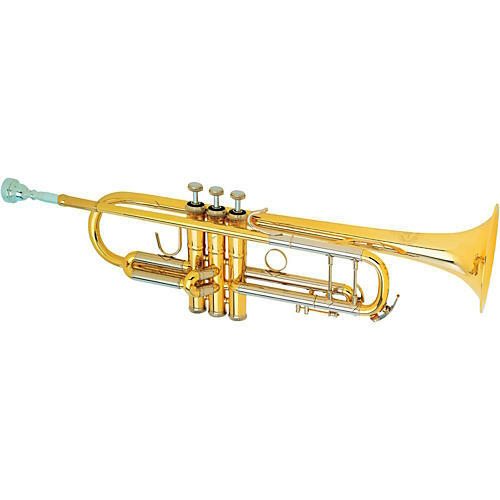 The Challenger II Bb Trumpet is well suited for any type of performance situation. The 3137 Challenger II Series reverse leadpipe trumpet includes a deluxe double case and mouthpiece and is available in lacquer or silver finish.